EGU Blogs » GeoLog » Science bloggers – join the 2017 General Assembly blogroll! Science bloggers – join the 2017 General Assembly blogroll! Will you be blogging at the 2017 General Assembly? If so, sign up here and we’ll add you to our official blogroll. 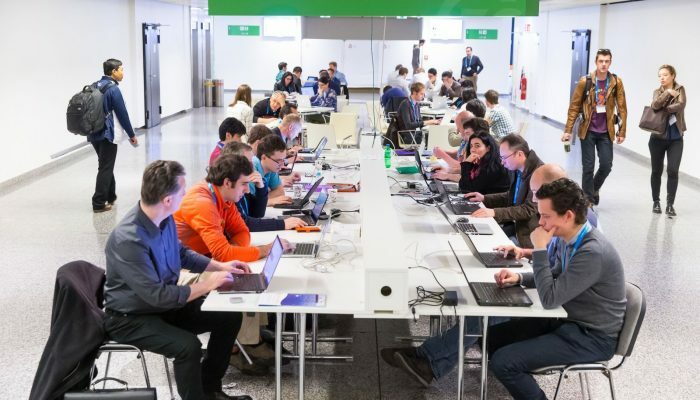 We will be compiling a list of blogs that feature posts about the EGU General Assembly and making it available on GeoLog, the official blog of the European Geosciences Union. We’d ask you to write posts that relate directly to the Assembly during the conference in Vienna (23 – 28 April). The content of each blog on this list is the responsibility of the authors and is not sanctioned by the EGU, but we will make details of all the blogs on the General Assembly blogroll available online. If you would like your blog to feature on our list, please submit your blog details to us. In addition to the wealth of interesting new research that will be presented at the scientific sessions, the Media and Communications team have organised press conferences to highlight some of this research to the press and media participants at the conference. A provisional press conference programme is available now. Should you spot something there that might inspire you to blog, it might be useful to know that there are limited spots available for scientists who are bloggers or science writers who may wish to attend press conferences. Simply head to the press centre (on the yellow floor) about 5 minutes before the press conference is due to start and make yourself known to one of the press assistants. With free (and open!) wireless internet and plugin points available throughout the building and great science throughout the week; we’ve got everything you need to get blogging! International plug adapters can even be borrowed from the Austria Center Information Desk! GeoLog will also be updated regularly during the General Assembly, featuring posts about scientific sessions, conference highlights and interviews with scientists at the meeting. Please contact the Communications Officer, Laura Roberts Artal, for any questions you might have about the blogroll. The Marine Geosciences Research Group (@gemar_ieo) of the Spanish Oceanographic Institute us very much concerned with EGU science.